Old Bell in Warminster has a beer garden. The pub has a car park, it is a family friendly pub. 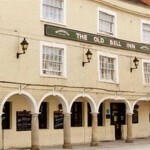 Old Bell serves food. The pub serves real ale, it is a member of Cask Marque. Anchor Hotel in Warminster has accommodation. The pub has a beer garden, it has an outside area. Anchor Hotel shows live comedy. The pub has a dart board, it has DJ's. Anchor Hotel has karaoke. The pub has live music events, it has a pool table. Anchor Hotel holds quiz nights. The pub shows football on TV, it has terrestrial TV. Bath Arms in Warminster has accommodation. The pub has a beer garden, it has disabled facilities. Bath Arms is a family friendly pub. The pub serves food, it has an outside area. Bath Arms serves real ale. The pub has a real fire, it has free WiFi. Bath Arms is a member of Cask Marque. Masons Arms in Warminster has aircon. The pub has a beer garden, it has a car park. Masons Arms gives a warm welcome to dogs and their owners. The pub is a family friendly pub, it serves food. Masons Arms has a function room that can be booked. The pub serves real ale, it has a smoking area. Masons Arms has free WiFi. The pub has a dart board, it holds quiz nights. Nags Head in Warminster has a car park. The pub has a smoking area, it has a dart board. Nags Head has a pool table. The pub shows football on TV, it has terrestrial TV. Not just a Sports Bar but a Free Live Music venue as well(every Saturday Night)great friendly staff and good value prices. Happy hour Monday to Friday 5pm to 7pm. John Barleycorn in Warminster shows football on TV. The pub has terrestrial TV. Rose & Crown in Warminster has accommodation. The pub has a beer garden, it gives a warm welcome to dogs and their owners. Rose & Crown is a family friendly pub. The pub serves food, it has a function room that can be booked. Rose & Crown has an outside area. The pub serves real ale, it has a real fire. Rose & Crown has a smoking area. The pub has free WiFi, it has a dart board. Rose & Crown has live music events. The pub has a pool table, it holds quiz nights. Rose & Crown has a big screen. The pub shows cricket on TV, it shows football on TV. Rose & Crown shows rugby on TV. The pub has Sky Sports, it has terrestrial TV. Rose & Crown is a member of the BII. The pub is a member of Cask Marque. Organ Inn in Warminster has a beer garden. The pub has disabled facilities, it gives a warm welcome to dogs and their owners. 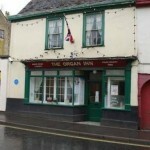 Organ Inn is a family friendly pub. The pub serves food, it has an outside area. Organ Inn serves real ale. The pub has a real fire, it has free WiFi. Organ Inn has a dart board. The pub holds quiz nights, it is a member of Cask Marque. Farmers Hotel in Warminster has accommodation. The pub has a function room that can be booked. Warminster Cricket Club in Warminster has a beer garden. The pub has an outside area, it has a dart board. Warminster Cricket Club has DJ's. The pub has karaoke, it has live music events. Warminster Cricket Club has a pool table. The pub holds quiz nights, it has a big screen. Warminster Cricket Club shows football on TV. The pub has Sky Sports, it has terrestrial TV. Hunters Moon in Warminster has accommodation. 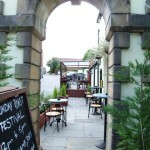 The pub has a beer garden, it has a function room that can be booked. Hunters Moon has an outside area. The pub has a dart board, it has live music events. Hunters Moon holds Poker Nights. The pub holds quiz nights, it shows football on TV. Hunters Moon has terrestrial TV. Yew Tree in Warminster has a beer garden. The pub has a car park, it gives a warm welcome to dogs and their owners. Yew Tree is a family friendly pub. The pub serves food, it has an outside area. Yew Tree serves real ale. The pub has a smoking area, it has a dart board. Yew Tree holds quiz nights. The pub is a member of Camra. 06/04/2011 Great, Family run pub, Lovely Garden, Great local!